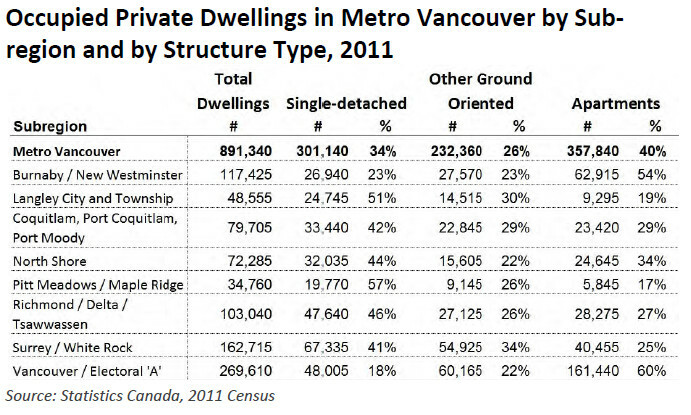 A couple of decades ago, half the private dwellings in Metro Vancouver were classified as detached homes. That share has dropped steadily, to one-third or less. A growing majority of private dwellings are apartments, townhomes or duplexes. The trend is not news. Most of the available statistics, posted again in this month’s Metro Vancouver Housing Data Book, date from 2011. Even so, the discourse around housing continues to highlight low-density, high-prestige home ownership, even when this housing type has moved beyond the reach of most working families. National media coverage of Vancouver-area real estate in 2015 and 2016 focused on the stunning rise in detached home prices, not on the more modest increases in townhome and apartment prices. 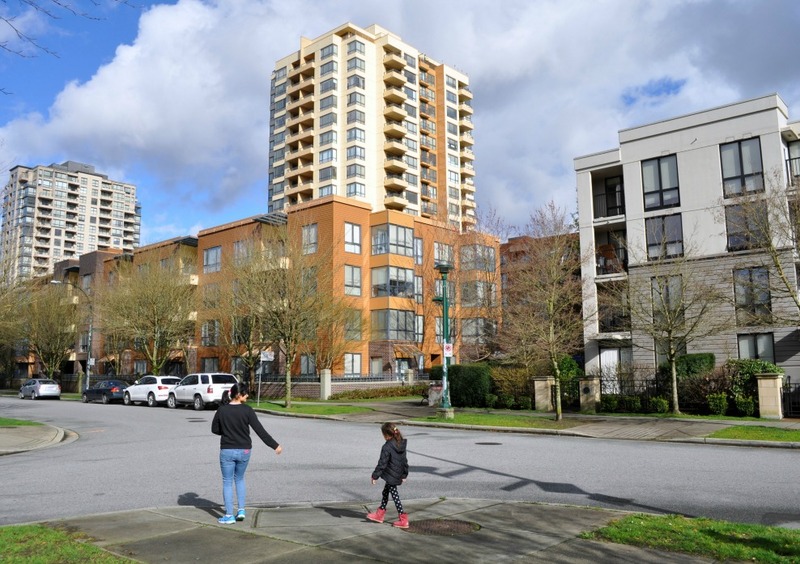 Controversies around residential development, from Marpole on Vancouver’s west side to Brookswood on the region’s eastern edge, are most often constructed around perceived injury to the interests of detached home owners. 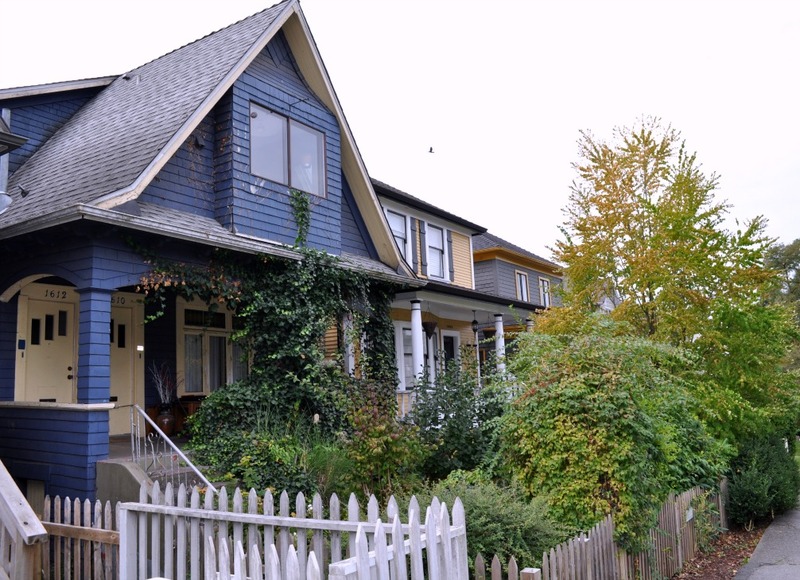 In a July 2016 legislative debate on measures designed to cool Metro Vancouver’s housing market, British Columbia’s finance minister noted that the absolute number of detached homes in the Metro region has dropped over the past 25 years despite the addition of more than a million people to the population. He called this data “fascinating”, as if he was coming across it for the first time. To waffle a bit, the drop in single-detached-home numbers — 25 per cent off the peak, in the case of the City of Vancouver — is partly a matter of redefinition. Out of 900,000 homes in the region, an estimated 90,000 are now secondary suites, and this number grows in every decade. 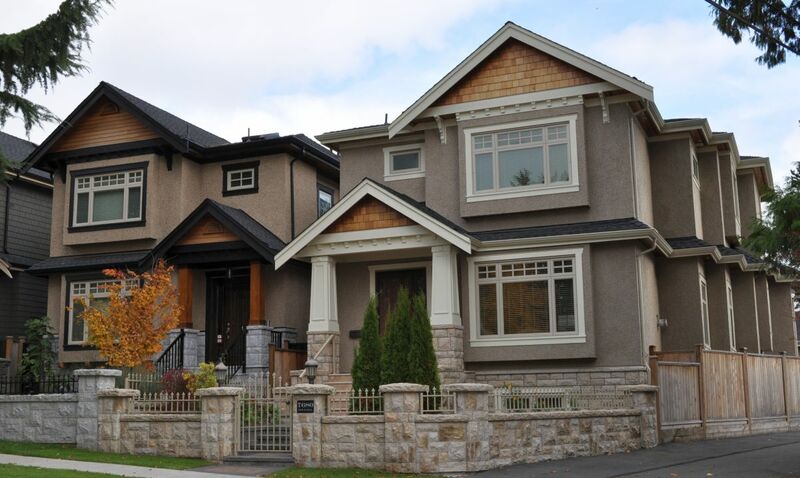 A homeowner creates a rental suite, and the detached home becomes a duplex. The homeowner stays on much as before — although privacy and possibly prestige are affected, as is the character to the neighbourhood. In terms of the balance of housing types, however, the biggest change has been the continued construction of stand-alone apartment buildings, which accounted for 40 per cent of all housing in 2011. As of 2011, there were more than 300,000 rental housing units in the Metro region. Ten per cent of these were detached homes, while 66 per cent were located in apartment complexes. In the same year, there were 580,000 owner-occupied units in the region, with 46 per cent of these listed as single detached and 13 per cent as “apartment duplex”, mostly houses with secondary suites. The percentage of homeowners living in apartment buildings was 27 per cent, although these percentages range from 55 per cent in New Westminster down to less than 10 per cent in the outer suburbs. Overall, it’s notable that in the decade from 2001 to 2011, there were more homeowners moving into apartment buildings than into single detached homes. The rise of apartment living creates opportunities for local governments to design urban villages that will support home-grown business, transit use, and independent living for seniors. Some communities do better than others in combining housing options with stores and services. The cities of Vancouver, North Vancouver and New Westminster have scored some notable successes in recent years. On a final point: it’s sometimes suggested that there’s “no more space” for new detached houses in most Metro communities. This is not quite true. In rare cases, we’ve seen old houses on large lots replaced by half a dozen new houses. Areas such as Dunbar on the west side of Vancouver were laid out on spacious lots around 1900, and could easily take many more houses. Prominent urbanists such as Michael Geller and Patrick Condon have been advocating for small houses on small lots for a decade or more.